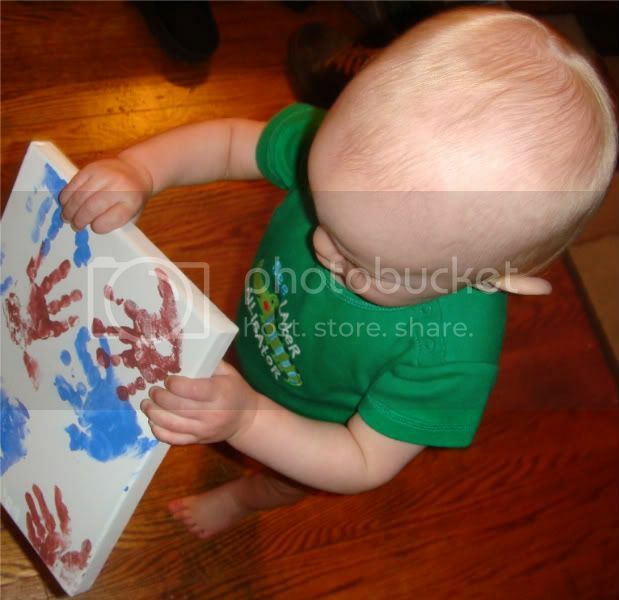 I came across a website selling a kit, with a canvas & paint for $14, so that you could paint your kid's feet, stamp the on the canvas and have a nice piece of artwork. I decided to just head to the craft store and buy these items for cheaper. I bought an 8x10 inch painter's canvas (gallery wrapped, as I had no intent of putting this in a frame, I like that look) at Michael's - on sale for 50% off, I think it came to $3.50. 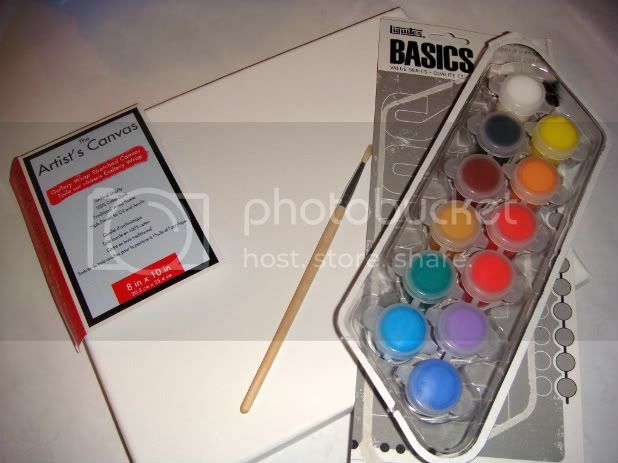 I then used the 40% off coupon off one regular priced item (you can find this in their ads) to purchase the acrylic paints (it came with the brush), cost $3.00. 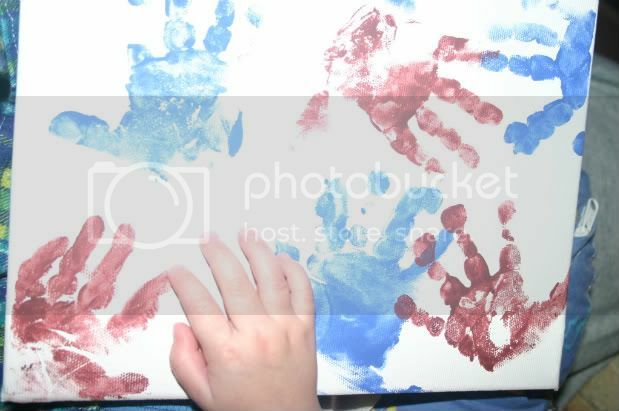 I bought 2 extra canvases, so that I could make a couple for his room or repeat when he gets older. 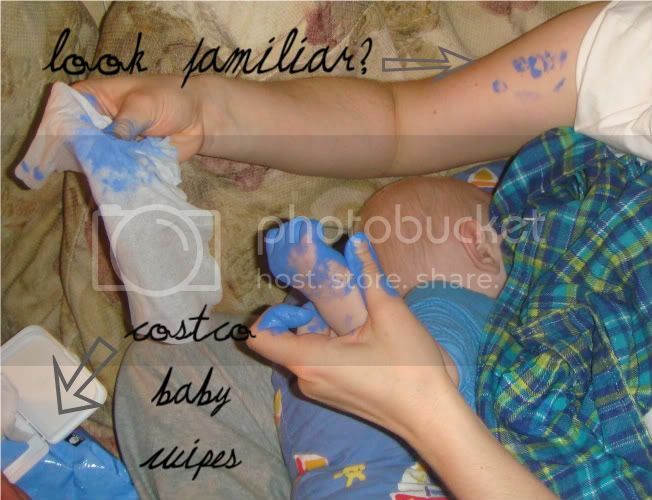 I also think this would be fun to do with footprints, especially when a baby is brand new. 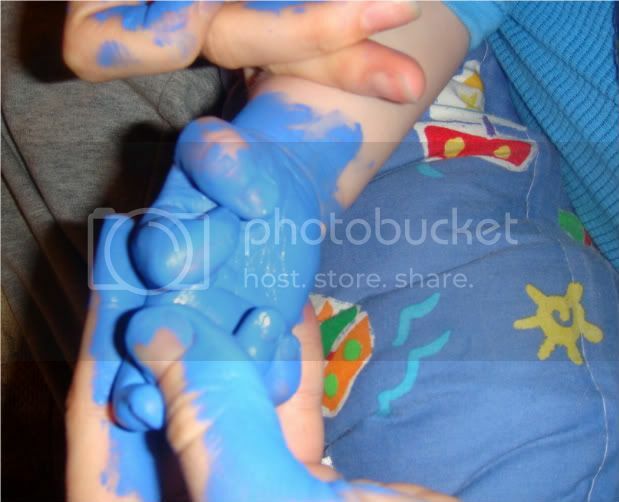 I have enough paint, I could easily do this hundreds of times, no joke. I think it would be fun to mix the paints and make my own color combos. black/grey/white I wrote his name in white paint with the date in one of the corners and then put a special note in the wood grain on the back of the canvas. Then shipped it off (via my brother) to my mom. I know this idea is probably not original, but it was a huge crafting hurdle for me. ps...Pepe and I got engaged 5 years ago today (on a Tuesday). I am just writing this because I always forget this day and I didn't today.